What makes Woods Ortho unique? If you're considering a visit to the orthodontist, you might imagine an experience that is intimidating and overwhelming. Well, great news! Dentistry and orthodontics don’t have to be like that. I promise to meet you face-to-face and talk to you like a friend, figuring out your goals for your smile or the smile of a loved one. In fact, your experience with us should be fun. No, really! By focusing on relationships with our patients — and having fun together! — we’re able to create the very best, most genuine smiles. If you are lucky enough to catch Dr. Woods when Whitney Houston’s “Wanna dance with somebody” comes on, well, let’s just say, make sure you have your phone ready. Visit our Eastside Bend open-concept clinic and you’ll notice an absence of isolating divider walls and stale wall art. What’s left is great music and shared laughs. We insist on efficient appointments and overall timeliness so you are in and out and on with your day. We invest in the best technology that helps us provide the safest, fastest, most comfortable treatment possible. Woods Ortho is different because we truly care about you. And though it’s easy to write that on a website, you’ll immediately see it in the faces of our team and feel it throughout your orthodontic treatment. Dr. Shannon Woods is a mother, wife, sister, daughter, friend, hiker, dog-lover, Cheesehead and coffee snob— ahem... connoisseur. She was a Lava Bear (c’mon, always a Lava Bear) then a Duck. Oregon Health and Science University, in Portland, OR, doesn’t have a mascot we know of, but that’s where she graduated Omicron Kappa Upsilon (i.e. “really good”) from her dental and orthodontic training, and also why she owns an umbrella for every day of the week. At OHSU, she was your classic overachiever (founded the Student Professionalism and Ethics Association, for example) and orthodontics nerd (she actually read her textbooks, cover to cover). But sit down with her over coffee or in the clinic and you’ll quickly see her human side: passionate, caring, fun-loving, and deeply committed to your orthodontic success and ease of experience, from initial consultation to final retainer check. 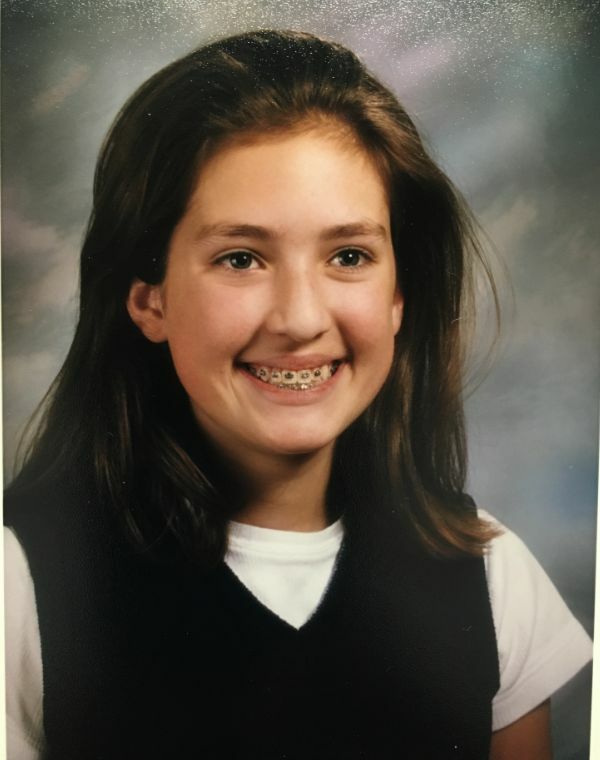 Oh, and this is Dr. Woods in her own braces, age 11.